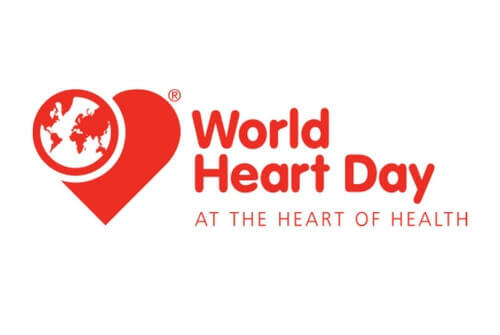 With World Heart Day coming up this Friday 29 September, there’s never been a better time to get up to speed on all things heart health related, and make sure you and your family are taking care of one of your most vital organs. World Heart Day is our annual reminder of the dangers, as well as the preventability of heart disease. With heart disease the leading cause of death around the world, it’s never been more important to get involved and ensure you’re living a heart healthy life style. Know your heart – this means having regular check-ups, being aware of red flags to look out for, and understanding whether or not you fall into a high risk group for heart disease. Love your heart – Quitting smoking is the single best thing you can do for your heart! At Envision Medical Imaging, World Heart Day is particularly important to us as we have a wealth of experience in cardiac imaging. We work with cardiac CT, cardiac MRI and nuclear cardiology everyday in our Perth clinic, so seeing the heart with all its intricacies is truly our specialty. This experience combined with our world-class technology is why most cardiologists prefer our medical imaging services. We take a holistic approach to our imaging; working with cardiologists, nuclear physicians and radiologists specifically trained in cardiac imaging. This collaborative approach gives a higher level of attention to detail to all our images and means the best outcomes for patients. Having an understanding of the basic differences between the various MRI scans and CT Cardiac scans available will help you have the best understanding of your heart, and make the most of your health this World Heart Day. Otherwise known as CT Coronary Angiography, this is a specialised form of CT scanning used to take images of the coronary arteries of the heart. These arteries supply blood to the heart muscles. The diseases that emerge in these arteries are responsible for most heart attacks. This makes it essential to stay on top of them, especially if you fall into a high-risk group. Our Wembley CT scans and CT angiograms are one of our key services, with many patients wanting the best images to pass onto their cardiologist. MRI (magnetic resonance imaging) is a way of creating pictures of your body that does not use X-rays or radiation. MRI uses a very powerful magnetic field in combination with a rapidly switching Radio Frequency (RF) to obtain the images. MRI is best at showing the soft tissue structures of the body such as muscles, ligaments, the brain and spinal cord. It can also provide unique diagnostic information for cardiac, abdominal and pelvic imaging, making MRI advantageous over other imaging methods in many situations. A myocardial perfusion scan takes images of the blood supply (or what your cardiologist may call “perfusion”) to the heart muscle using a gamma camera. The blood supply is made visible to the camera by using a small amount of radioactive tracer, which is injected into an arm vein. Occasionally an alternative tracer called thallium is used. Depending on the exact heart condition in question, the procedure may be performed at rest, with the heart under stress or most commonly both. Myocardial scans give information that is useful in diagnosing and managing conditions such as coronary artery disease, dead tissue resulting from a lack of blood supply and diseases of the heart muscle. A stress myocardial perfusion scan examines the blood supply to the heart muscle using a gamma camera. The blood supply is made visible to the camera by using a small amount of radioactive tracer, which is injected into an arm vein. The injection is given during stress exercise on a treadmill, then again while resting later on. After each injection, a gamma camera placed over the chest takes images of the pattern of tracer accumulated in the heart’s left ventricle. This gives information useful in diagnosing and managing conditions such as coronary artery disease, infarcts and diseases of the heart muscle – cardiomyopathy. While this all may sound confusing at first, for us it’s second nature. We are truly the medical imaging specialists and we know more than anyone else how much your heart health matters. 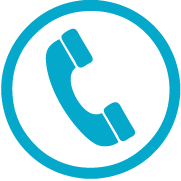 Get in touch with Envision Medical Imaging for all your scans and imaging needs.